Please join me in bidding a fond adieu to January. It was a month in which our increasingly unstable global climate manifested itself in record-breaking cold and snow. Davenport, Iowa, my adopted hometown, saw the lowest temperature (-33, six degrees colder than the old record) and coldest wind chill readings (-54) in its recorded history. Despite having no precipitation in the first eleven days of January, it still managed 30.2” of snow by month’s end, the most since record-keeping began in 1884. Local drivers responded predictably. That was all enriched by an electrical fire in Old Main, my campus home, a flu outbreak and five days of school (mall, bank, postal service … ) closures. The collective suspicion of the folks behind MFO is that, January notwithstanding, we face the prospect of serious and repeated challenges in the next couple years. While it would be nice to believe that the Christmas Eve sell-out represented the end of a rough stretch, there’s little reason to believe that’s true. Valuations remain stretched, the sugar buzz from the tax cuts have worn off while the prospects of trillion dollar annual deficits (and half trillion dollar annual interest charges) are beginning to sink in and investors are beginning to suspect that there are better games in town than ours. The collective philosophy of the folks behind MFO is that it’s better to plan than panic. And so we’re using this happy pause in the action to begin offering resources that might help your planning. Those include thoughtful big picture advice from both Ed Studzinski and Bob Cochran, Charles’s primer on how to better use the MFO Premium screener to identify bear-resistant investments, my close look at which long-short funds seem positioned to best weather turbulent conditions, Dennis Baran’s profile of Marshfield Concentrated Opportunity, a long-only fund that’s weathered the storm, plus my introductions of Ladder Select Bond and FPA Flexible Income. It’s all designed to remind you that there are meaningful options available beyond the realm of domestic large-cap indexes and bond aggregates. So, with just the briefest of thanks to you, to Greg, Deb, William and George, to Thomas Killian and the folks in the Bay Area, to the managers who reason with us, to the spouses who sustain us, and the 31,000 folks who read us, we’ll let you get to it. But do you really know what is being done to execute investment strategy at your chosen fund or firm on a daily basis? I still remember hearing the story, which I hope was apocryphal, of the co-manager who was allegedly having a contretemps with one of his co-managers. Rather than endure the stress caused by meetings with the other co-manager to review investments and make portfolio decisions, he allegedly gave a list of equities he either wanted to buy or add to in his portion of the fund’s assets to his administrative assistant. He then told that person to just pick something on the list to buy for the fund when there was cash available to do it. David Snowball had mentioned to me earlier in the month that there had been a perception amongst some of our readers that the fund managers of the world spent every waking moment sitting at their desks, staring at the portfolio and their Bloomberg terminals to try and come up with an enhancement to the investments that would improve performance. Nothing could be further from the truth, which is probably a good thing. My experience has been that pretty much once you have created the portfolio and gotten it fully invested, less is more. Tinkering around the edges, at least for me, has generally resulted in a decrement to performance rather than an improvement. Which is not to say that in a period like December, when the market is effectively collapsing, you should not use the opportunity presented, as it was on December 24th to add to positions you really like. When the price declines are substantial, you have to be prepared and willing to act to add to positions. On occasion, you may even act to upgrade the portfolio when a security you have wanted to own finally becomes available at the bargain price you have wanted to pay for it, representing a real margin of safety. I recognize that it takes discipline and a strong stomach to do that, which is an argument in favor of active management. The Federal Reserve did an about face this week on interest rates, electing to keep them steady rather than continue to raise them. The three or four rate increases we were anticipating this year will apparently not happen. We may, at best, see two. Neither Washington nor Wall Street had particularly liked interest rate increases. They have tended to exacerbate increased volatility in the markets. The increases in rates also made it clear, if they continued, that we would not be able to fund repayment of our debt as it matured. The increased interest rates would become a big drag on the Federal budget, while crowding out the availability of capital to other parts of the economy. Was it a political decision to not raise rates this week? Of course. Likewise it was a political decision to keep them artificially depressed during the eight years of the Obama Presidency. As we watched the impact of the governmental shut-down this January on government workers, the question I kept asking myself was, what happened to the middle class in this country? Federal government jobs used to be considered good, stable, and relatively above-average paying jobs, the bedrock of the middle class. And yet we saw people who apparently live from paycheck to paycheck, and are barely able to stay even, let alone get ahead. The last month should have made it apparent to all but those living on Mars that there has been a hollowing out in our society. 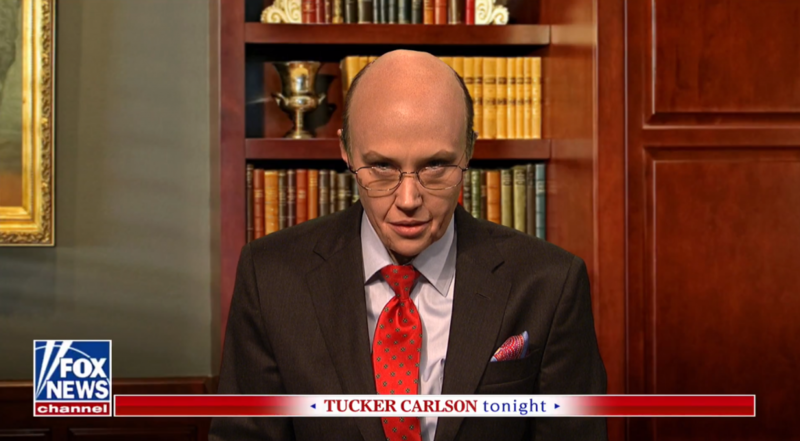 Those who have access to an on-demand feature on their cable network who did not see it should pull up the January 26, 2019 edition of Saturday Night Live, and watch Kate McKinnon’s satire of Commerce Secretary Wilbur Ross (Secretary Ross arrives at the 2:28 mark) and his “let them get loans” speech. The sad part about it was that it probably should not be considered a satire, as it pretty much represented a point of view had by Mr. Ross. One rationale expressed by the Fed for keeping rates stable was that there are few if any signs of inflation in this country. My own application of the potato chip test would lead me to disagree. You used to be able to buy a one pound bag of potato chips for less than a dollar. Now, you are getting a ten ounce bag for somewhere between three and four dollars a bag. Those of you who do the grocery shopping will see similar examples of package shrinkage with price increases all throughout the exercise of a weekly shopping trip. My final comment in this regard will be that the only way for us to deal with the mountain of government debt at this point will be to inflate our way out of it. Think about your investments from that perspective. So, what to do, what to do for this year going forward. First, equities over bonds. If you need fixed income, think stability. You can get 3% certificates of deposit for periods under two years currently. And if you want bonds, stay with maturities under three years. For those wanting income, dividend paying stocks are probably the way to go, especially since the dividends can increase. Given a choice between an equivalent yielding bond fund, and an equivalent yielding dividend paying stock, the stock should usually win all other things being equal (especially considering the risk of default or bankruptcy). Look at some of the variations in real estate available. I am not a fan of real estate investment trusts usually, as the managements tend to raise capital by issuing shares to buy more properties at peak real estate prices, thus diluting their investors. But there are exceptions to every generalization. And finally, when you are giving your moneys to managers, if you are using active managers, make sure they really are active rather than buy and hold closet indexers. Above all, put together a strategy and stick to it. And don’t panic, especially when you see everyone else panicking. You can measure the jumble by looking at the correlations between the funds. If all long/short funds were doing roughly comparable things, you’d see consistently high correlations between members of the group. Instead, if you look at all long-short funds with at least a billion in assets, correlations range from negative 14 to positive 89. Twenty-three of 28 correlations are below 80, 14 of 28 are below 50. Similarly, if we look at the 10 funds with the highest annual returns over the past five years, the range is 42-87. Heck, a bunch of these funds have near-perfect correlations with the S&P 500 while others capture more than 100% of the S&P 500’s downside. That’s not bad. It does, however, mean that the phrase “maybe I should consider a long/short fund” is incoherent. That said, it is possible for individual long-short funds to make sense and to make a difference. 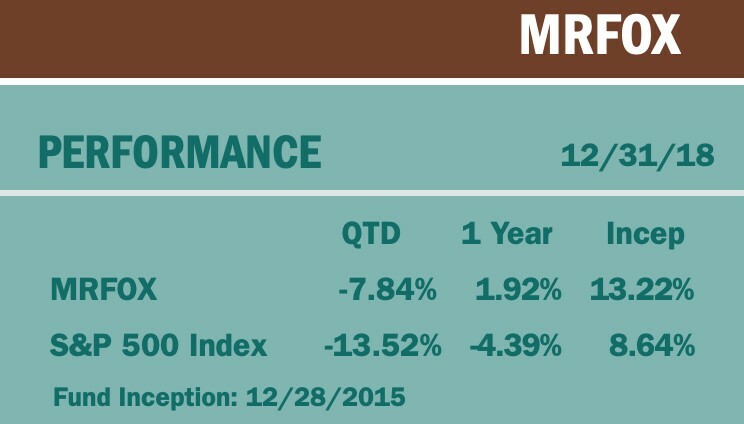 The fund had to outperform a simple 60/40 index in the Q4 downturn. Since “adding bonds” is a cheap, effective and time-tested strategy for dampening volatility, any alternative should be at least as effective. VBINX dropped 8.1% in the quarter, so we start with funds that did better. There are 148 long-short equity funds in Lipper’s database. Sixty-two funds, 42.5% of the universe, met that requirement. Only one fund designated a Great Owl failed the test: Gotham Enhanced 500 (GENFX). All other Great Owls in the long/short group passed: Gotham Absolute 500 (GFIVX), JP Morgan Hedged Equity (JEHQX), PIMCO RAE Worldwide Long/Short Plus (PWLIX), Catalyst/Millburn Hedge Strategy (MBXIX), Hundredfold Select Alternative (SFHYX), MFS Managed Wealth (MNWIX), and Nuance Concentrated Value Long-Short (NCLSX). The second hurdle is also simple: the funds had to have positive returns in the long-term. Why, after all, buy a fund that shines in one bad stretch but, otherwise, fails you year and year? That eliminated a dozen funds, including several of the top performers in the turbulent final quarter of 2018. Tier one: funds that made money in the short-term and in the long-term. Three. Huzzah! Tier two: funds that were much better than 60/40 in the short-term (though that still meant losing some in Q4) and positive in the long-term. Seven. Tier three: funds that were somewhat better than 60/40 in the short term and positive in the long-term. Twenty-three. Promising newcomers: funds that are one-to-three years old which were better than 60/40 in the short term and positive since inception. Only five of the 148 long/short funds tracked by Lipper were positive in both the short- and longer-term, three older funds and two newbies. Those funds are highlighted in green. We’ll provide a capsule of each after the data tables. Some of these funds have very high investment minimums (Glenmede and Gotham, for example). Some of them are not “true” long-short funds but pursue other hedging strategies (FundX Tactical and Bridgeway Managed Volatility are examples). They share just three characteristics (in the Lipper peer group, Q4 performance, three-year performance) so you’d need to consider each separately on its merits. Nuance Concentrated Value Long-Short (NCLIX/NCLSX) invests in the stock of 15-35 companies that it deems to be industry leaders with strong and stable competitive positions. It then shorts the stock of up to 50 large companies with “more commoditized or structurally challenged competitive positions.” Up to 25% of the portfolio might be invested overseas. Its managers remain pretty skeptical of the US market’s valuations. They write, “as of 12/31/18, the median company in the proprietary Nuance long universe, which consists of approximately 250 companies we view as industry leaders, was trading at around a 15% premium to what the Investment Team would consider to be fair value. Said another way, the universe appeared to be 15% over-valued on average, per our internal estimates. In addition, according to our company-by-company valuation work, this same universe had roughly 60% downside potential.” In response, the fund is just 6% net long; over the past couple years it has ranged from 23% net short to just 7% net long. It has an R2 of just 13 against its peer group. Morningstar rates this as a four-star fund. MFO has designated it as a Great Owl fund, which means that its risk-adjusted returns have been in the top 20% of its peer group. By any reasonable risk-sensitive measure, Nuance is a top-ten performer in its fund Lipper peer group. The fund launched in December 2015.It’s drawn $26 million since then. Expenses are 2.84% and the minimum initial investment is $2,500. It made 5% in 2018. The fund launched in February, 2008. It’s drawn $72 million since then. Expenses are 1.73% and the minimum initial investment is $1,000. BlackRock Global Long/Short Equity (BDMAX) is best considered a market-neutral fund; that is, it tries to hedge out all market effects all of the time. That necessarily limits both upside and downside, since the decision to dodge headwinds also means that you can’t benefit from (more frequent) tailwinds. The fund’s distinctive strategy is its reliance on Big Data. Perhaps BIG DATA!! Management systematically ranks a universe of approximately 2,500 developed-markets stocks using a combination of traditional and nontraditional metrics …nontraditional metrics, which are often based on advanced computer techniques [include looking] at third-party data on online sales to get a sense of consumer sentiment in various markets. The team tracks 50 different metrics and has invested a lot to continually deepen their data analytic capabilities. One measure of their success is its nearly complete independence from the stock market: since inception, the R-squared (that is, measured correlation) with the stock market is just 0.04. They show almost identical independence from their peer group, with an R-squared of just 0.05. Over the past three years, BDMAX has performed reasonably well. The fund makes about 2.5 – 4% per year. Because it has no correlation to its nominal peer group, it’s not much worth reporting its rankings within the group. In broad terms, it has had double-digit returns in two years but also negative returns in two years. Over the past five years it has returned about 1.5% annually, better than cash not trailing ultra-short bonds. In 2018, it was up 1.8%. The numbers since inception, which includes its great performance in 2013, are stronger (4.2% annually) but nothing to make my heart go pitter-pat. If the fund had evidence of consistent 4% returns and rare years in the red, it would be noticeably more compelling. Morningstar praises the team for continually revising and strengthening their data analytic regime, which might suggest a brighter future. We just haven’t seen it proven consistently. The fund launched in December, 2012 .It’s drawn $640 million since then. Expenses are 1.89% and the minimum initial investment is $1,000. “A” shares carry a 5.25% sales load, though its available no-load and NTF through some brokerages. Balter Invenomic (BIVIX) is a strictly quantitative fund. The managers stay as far as humanly possible from the polished, sweet-tongued executives of the firms they might invest in. Instead, they generate a four page statistical profile of every stock in which they might invest. Currently, they have about 150 long and 150 short positions, which means that no one position has much potential to damage them. Invenomic’s key differentiator, from the lead manager’s perspective, is a successful short book. Manager Ali Motamed argues that most long/short managers fail on the short side. They maintain too few shorts, they put too much money into each, they maintain a large short book when market conditions don’t warrant it and they view themselves as on a crusade against the management teams. Each of those mistakes limits the power of the short portfolio to generate alpha rather than just limiting beta; that is, Mr. Motamed thinks a good short portfolio should make money rather than just hedge volatility. They target “story stocks,” firms with deteriorating fundamentals and firms artificially buoyed by one-time windfalls that investors are treating as structural advantages. Depending on market conditions, as little as 10% of the portfolio or as much as 75% of it might be in the short book. It is a fund about which Morningstar is uniformly negative. I guess I mostly disagree. While the expenses are high, they’ve gotten a lot right. Since inception their beta (0.15) is far lower than the stock market’s, their Sharpe ratio (a measure of risk-adjusted returns) is far higher, they made solid money is 2018 (up 3.5%, 780 bps better than the market and 970 better than their peers) and a lot in January 2019 (up 6.8% in 30 days). BIVIX has higher Sharpe and Sortino ratios than any fund in the Morningstar Long-Short Equity category since inception (06/19/17) through 12/31/18. It’s an intriguing fund run by a manager with first-rate experience as one of the Boston Partners. The fund launched in June, 2017. It’s drawn $117 million since then. Expenses are 2.93% and the minimum initial investment is $5,000. Gotham Short Strategies (GSSFX) made a big pile of money (11.5%) in the fourth quarter of 2018 which pushed its lifetime annual rate of return to 0.5%. Morningstar categorizes it as a bear market fund, which is much more accurate than Lipper’s assignment to the long-short equity group. I’ve included it here just as a gesture of transparency: it technically passed the screens, so you deserve to know about it. The other thing to know is that it, like all of its black-box siblings at Gotham, requires a minimum initial investment of $250,000. Bottom line: both Nuance Concentrated Value Long-Short and Balter Invenomics warrant serious attention from investors looking to buffer part of their portfolio from the storm. They’re very different funds and both expensive by traditional standards, but both offer the prospect of dealing both with volatile markets and those which are hostile to traditional 60/40 balanced funds. Nota bene: three of the four long-short funds we’ve profiled over the years – LS Opportunity, AMG RiverRoad Long-Short and Bridgeway Managed Volatility – passed our short-term / long-term screen and each ended up in Tier Three. All of them warrant close attention and we’ve linked, in the tables above, to our profiles of them. LS Opportunity, which has returned about 5.5% annually since launch might command the most attention. The only fund not passing the screen – RiverPark Long/Short Opportunity (RLSFX) – is a more aggressive fund that uses its short book as an offensive weapon rather than a defensive shield. As such, it’s not terribly surprising that it faltered in Q4 (down 12.5%). That said, it has top tier returns over the past quarter, year, three years and five years. A quick look at my Schwab accounts tells me that since January 1, 2018, through January 18 of this year (12 ½ months), my total portfolio value is down 1.31%. As I have mentioned before, I rarely look at these values, so I was actually surprised the return has been that good. One would think last year was a disaster, given the massively negative press over the last many months. Yes, the year-end numbers were down more than today’s, but a loss of less than 6% over 12 months doesn’t get me excited at all. In fact, that is the same return as the average 50%-70% Allocation Fund, and my allocation is more aggressive. Broadcast business media have discovered a gold mine of advertising resulting from scaring people on a daily basis. I suggest a simple solution: don’t watch or listen to this drivel. Few are real journalists, and even fewer have financial education and experience. Those that offer alternative viewpoints may be ridiculed or even blackballed from future appearances. Remember, the goal of these programs is to sell advertising, not to provide unbiased commentary. Fortunately some investors rely on a competent, fee-only advisor to keep them from self-immolation! Through all of the above, the most important factors in the overall success or failure of investment goals have been time and timing. It’s important to remember that folks who are investors, and not traders, are not concerned about time and timing. While working, they continue to add to their retirement accounts through good times and bad. Investors look at the big picture and do not try to pick a time to exit or enter the stock markets like traders. Investors set an overall portfolio allocation that allows them to sleep at night. Traders do not. Traders are constantly tweaking this or that holding. Investors are not. Investors understand there will be some tough times as well as some great times. (Since 1980, the average intra-year decline of the S&P 500 has been nearly 14%, yet annual returns have been positive in 29 of those 39 years.) Traders will attempt to time these declines. Some retirees are fortunate to not need income from their investment portfolios. This allows them to be more aggressive with allocations, if they are comfortable with that. Those that need portfolio income should set aside about 5 years of that income in cash, CDs, or short-term bonds. This may avoid having to sell stocks during a down market. Numerous studies suggest that a sensible annual withdrawal rate is 4-5% of the portfolio’s value. Some investors are able and willing to reduce income needs following a down-market year. Some might consider delaying retirement to avoid starting regular portfolio withdrawals during a down market. Perhaps the reason some retirees fixate on portfolio valuation is because of time…they have too much time on their hands. For those who fall into this situation, I would suggest reading my prior commentary: Living a Rewarding Retirement – Make a Difference. Investors who enter retirement with no mortgage or credit card debt are in a much better situation than those whose monthly cash flow necessitates these big payments. That is why I have been a strong advocate of paying off debt prior to retirement. It makes a huge difference and reduces potential pressure for portfolio income. I can speak to this personally. It really works. 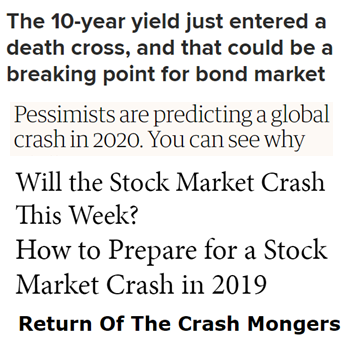 There is yet to be anyone who can accurately predict what the markets will do on a regular basis. Predicting what will happen each day is nearly impossible, but economists and other self-anointed experts want us to buy into their yearly predictions. Understand this, and you will come a long ways toward shutting out some noise. Volatility appears to be with us for now. This is something many investors had forgotten during the past five years, and it adds to heightened anxiety. But consider this: despite all the wild swings in the markets, there was no meltdown in the last 12 months. It’s another year, the economy remains fairly strong, employment numbers are still very good, and inflation remains very low. If all the noise is keeping you awake at night, if you are afraid to open your monthly account statements, or if you spend more than five minutes each day fussing over your investments, the solution is clear: reset your portfolio allocation to achieve a lower risk profile. Perhaps you should have zero dollars in stocks. Yes, your potential returns may be lower, but your potential drawdown should be correspondingly lower. If you don’t know how to accomplish this, find a good fee-only advisor who can assist. As the saying goes, “Set it and forget it.” And also consider the impact mutual fund fees can have on your portfolio, especially if we continue to see single-digit returns. As investors, we can’t control the markets, but we can make decisions on portfolio risk and portfolio expenses. So, tune out the broadcast-business programming, get an allocation you can live with, and spend your free time making a difference for others. This last, by itself, can help to reduce retiree angst. FPA tends to be the home of absolute value investors. They are people who invest in securities that offer compelling risk-adjusted profiles; the mere fact that some security is “the best of a bad lot” does not, for them, warrant interest. That means that they’re often out-of-step with their nominal peers, that they have a tradition of holding cash when cash is the most prudent option, and that they dislike losing (your) money a lot more than they like making it. FPA New Income is the most conservative expression of that philosophy. Its goal is to provide a positive return in any given 12 month period. The data at MFO Premium shows that, over the past 20 years, the worst 12-month stretch for New Income saw a drawdown of just 0.3% and an average of +3.9%. solution for a long-term fixed-income investor who isn’t concerned about losing money over a 12 month period.” There’s something like $6 billion in New Income, at least a chunk of which would be more-appropriately invested in a strategy with a longer horizon. Indeed, the flexible income strategy was seeded by a long-time investor in New Income for whom FPA subsequently created a separate account. 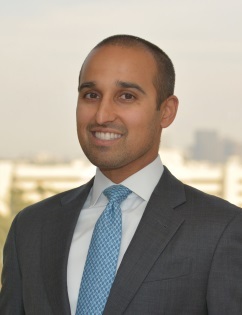 FPA partners Thomas Atteberry and Abhijeet (Abhi) Patwardhan manage both funds with the same investment philosophy, process and team. Morningstar describes Mr. Atteberry as “among the industry’s best” and Mr. Patwardhan as his successor. The managers, and other FPA professionals, are heavily invested in the strategy. Including analysts, there are seven people in the team supporting the two funds. This is a capacity-constrained strategy. FPA estimates that they can manage, given current conditions and constraints, about $12 billion between the two iterations of their strategy. Currently they have about $7 billion invested. The fund carries a $100,000 minimum initial investment and expenses of 0.39% (after waivers for 2019). The fund is available for purchase on a variety of platforms (Schwab, Fidelity, TD and so on). There is no guarantee that a lower investment minimum option will be available, but it wouldn’t be surprising either. Bottom Line: Fixed income investors need to take this opportunity seriously. Headwinds are rising in the bond markets, and pursuing respectable returns with muted risks will require discipline, flexibility and experience in weathering the storm. Mr. Atteberry brings that to the table; he and his co-managers have produced some of the industry’s highest Sharpe ratios over the years. While FPA doesn’t seek to maximize short-term returns, they do have an exceptional record of getting it consistently right for their investors. Marshfield Associates, Inc., a value equity manager, was organized in 1989 to provide investment advisory services for institutional and private investors. It is based in Washington, D.C. and has 19 employees. Investing in companies in attractively structured industries with enduring competitive advantages that are difficult to duplicate and a strong and appropriate corporate culture. Insisting on a margin of safety between price paid and a conservative estimate of what their research indicates a company is worth. Marshfield also advises three SMAs: Equity (1989); Balanced (Private 1993 / Institutional 1989); Fixed (1999) and other assets (Friends and Family, $83.5M). Total firm AUM is $2.29B as of December 31, 2018. Elise Hoffmann and Chris Niemczewski. Ms. Hoffmann joined Marshfield in 1995 and became a principal in 1997. Prior to Marshfield, she worked for Rep. Ed Markey, serving seven years as Counsel to the U.S. House of Representatives’ Committee on Energy & Commerce, Subcommittee on Telecommunications and Finance, where she was responsible for developing securities legislation. Before that, she practiced law at Steptoe & Johnson in Washington, D.C. She has 23 years of investment experience. Mr. Niemczewski is managing principal and founder of the Adviser. While in graduate school at Columbia, Mr. Niemczewski studied the Graham and Dodd school of security analysis and investing, an approach that has influenced his 41 years in the investment field. 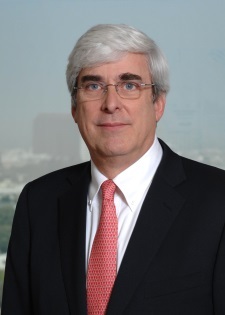 From 1981 to 1989, he was President of Justin Asset Management. Elise Hoffmann and Chris Niemczewski are married to each another. Principal Chad Goldberg and three research analysts assist them. 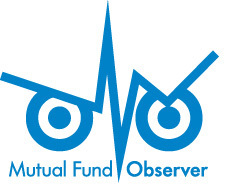 They continue to monitor carefully their AUM growth rate, its effect on their ability to trade stocks, and will certainly close the fund at some point. With a lot of their own money in the fund, they know that growing the fund indefinitely will inevitably lead to underperformance. Marshfield doesn’t calculate it; however, they reference 96% vs. SPY at Bloomberg. Because the managers are sector agnostic, their industry concentration routinely looks very different from the S&P 500 Index. Of the 11 S&P 500 sectors, the fund invests in five, and that’s only if you include the 1% in health care at year end. As of August 31, 2018, Elise Hoffmann and Chris Niemczewski own over $1M of the fund. As of December 31, 2017 none of the four trustees own shares of the fund. Marshfield (website below), D.A. Davidson, RBC Wealth Management, and Pershing. They’ve initiated a process to add another distribution platform by mid-year but don’t look for it at wire houses. Controlling distribution has allowed them to educate potential investors about their philosophy and discipline, what their pattern of performance looks like as a result, and to limit hot money coming in as it did when their Core Equity SMA decisively outperformed the market during big sell-offs. The managers make very clear their aversion to following the crowd, closet indexing, and owning popular stocks. They don’t care a fig about what other investors do, what stocks comprise the S&P 500, or what industry or sector a company is in as long as they like it. That often leads to looking at industries the market hates. Their goal is to invest in good, resilient companies at bargain prices and to own them until high price or a degradation in quality dictates their sale. Owning the S&P500 can’t produce a result different from the market in terms of performance or principal preservation, nor does owning every sector. It’s dangerous to give too much meaning to its movements especially during steep selloffs when emotional investing gathers momentum simply from the decline itself. So a clear analysis of the greater story — determining those elements of truth which the market might be overly responding to — needs to be examined and understood in proportion to the actual risks that they pose. The goal of these managers is to identify those elements. It’s hard for a company to get into the Marshfield portfolio. It must be in an industry that allows it to earn high ROE over time through a differentiated strategy or strong barriers to entry; it must have a functional, resilient corporate culture; and its stock must trade at a price that allows for things to go wrong. A differentiated strategy means using a company’s competitive advantages independent of what the competition is doing. (That’s not the same as not caring about competition.) They like companies that show a willingness to go against the flow while simultaneously demonstrating a definite awareness of existing or potential threats to their business. They want to own companies with loyalty to the organization — not to top management –plus integrity, courage, and resolve. Also, there’s no app for old-fashioned human attributes like drive, hard work, and judgment in companies they own. Buying at a discount allows for making good decisions while under stress. Unless their fundamental investment thesis changes, the managers are eager to invest even during chaotic external events. Those factors tend to protect capital and lessen risk. But what does being different from the market actually mean? Will it make you better or not? They admit that being different means that one may outperform or underperform the market from non-mainstream, anti-crowd, and other decisions they make. It may not add value and even increase risk. Buying greater value from a shopping list of good companies when the market’s gotten the price wrong on the downside, e.g., inadequate valuation is likely to yield better results than the market. Holding cash when the market is “high,” something the market never does. Cash isn’t a tactical decision. It’s a result of the managers’ company and market valuation and independent of its buys and sells. As of December 31, 2018, 16.2% of the fund is in cash. Cash hasn’t reduced performance: It’s reduced risk, protected principal, and bought undervalued stocks when the crowd is running for the exits. Having a concentrated, non-consensus portfolio of undervalued companies correctly sized by position and number that allow for outperformance over time – companies the market isn’t celebrating by popping corks. Loving it when a company refuses to provide guidance or doesn’t have earnings calls. These companies are independent, concerned with delivering what their customers want, resilient, and better at executing their strategy during risk-on times. Refusing to ignore fundamentals and buy all the stocks that best meet the “cheap price, low expectations” criteria. The managers limit themselves to companies they understand and meet the “good company, good business” test – not company trash. Not being stubborn, inflexible, or resistant. The managers want to be rewarded for what they own using a process without major changes during the last 30 years. This goal won’t change. Process and discipline are why investors invest in the fund with its serious commitment to preserve capital and generate risk-adjusted returns. It requires the emotional fortitude to withstand intense pressure to conform. The six principals who own Marshfield have an average tenure of 23 years and eat their own cooking with meaningful amounts of the managers’ own net worth committed to the fund. Their holding periods are generally 6-7 years on average and typically have a series of cyclical stories built into the portfolio. This results in a portfolio likely to be favored in some economic circumstances but not others so that periodic shocks are not equally borne by every holding. Their independent decisions in theory could result in a portfolio overly bound to a particular economic environment or to the success of a particular industry or sector. In practice, however, that has rarely if ever proved to be the case. All of which has translated to exceptional performance over time. 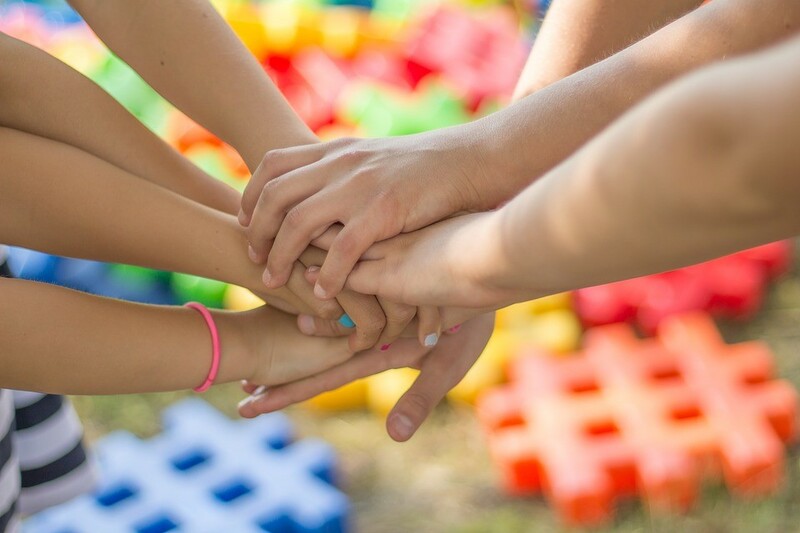 The fund finished 2018 up 1.9%, which places it in the top 15% of its peer group. During the year’s turbulent closing quarter it places in the 1st percentile. Since inception, the fund has earned 13.8% annually while the S&P 500 booked 9.2% and its average Lipper peer returned only 6.8%. To be clear: that’s a two-to-one advantage over the crowd. Not surprisingly, it’s 5-star at Morningstar and an MFO Great Owl. Somewhat surprisingly, Morningstar’s machine-learning model is negative almost across-the-board. The fund is managed according to the same philosophy, process, discipline, and objectives as its SMA Core Equity product, which allows us to get a sense of the strategy’s long-term performance. Since 1989, that APR is 10.61% vs. the S&P 500 9.27%. That’s net of fees with an ER of 1.25%, higher than the fund. In 2008, its net return was -16.45% vs. the S&P 500’s -36.99%. Here’s the fund’s lifetime (three-year) metrics from the 31 multi-cap core funds with the highest APR/YR. as of December 31, 2018. Since inception, the fund has captured 108% of the S&P 500’s upside but only 74.2% of its downside, an entirely admirable asymmetry. They buy resilient companies run by people who understand that the world is always an unpredictable and dangerous place. That way, when things go wrong, which they inevitably do, they’ll tend to own the survivors, who can often benefit from the chaos. MRFOX It’s informative and conceptual. Marshfield asked for its ticker symbol. They liked the imagery of a fox lying in wait and then pouncing on its prey. It symbolizes holding cash and being patient to buy good companies at discounted prices. Here’s the managers’ Market Commentary for December 2018. The right answer to almost all investing questions over the past generation has been “buy a cheap and simple 60/40 balanced fund and don’t look back.” The cheapest and simplest option has been 60% large cap US stocks through an S&P 500 index and 40% investment grade US bonds through a Barclays Aggregate US Bond index. For the classic 60% stock/40% bond portfolio, unfortunately, things do not look as rosy, as neither US equities nor government bonds look priced to deliver returns meaningfully in excess of inflation. The classic 60/40 portfolio is therefore priced to return a paltry +0.7% real (over the next 5-7 years) due to its large weight in those two areas. In the succeeding weeks, we had the opportunity to learn more about commercial real estate as an asset class and about Ladder Capital Asset Management, adviser to the Fund. There are three arguments for including a slice of commercial real estate investments in your portfolio. CRE returns have been attractive. “Average 20-year returns in the commercial real estate slightly outperform the S&P 500 Index, running at around 9.5%” (Maverick, 2019). Much of that return comes in the form of income generated from lease payments and passed along to investors. Ladder Select Bond’s SEC yield is 3.73%, 55 bps above the total bond market index’s. By Ladder’s calculation, the average annual excess yield of CMBS Bonds rated BBB- over Corporate Bonds rated BBB (5-Year Average through 9/30/2017) is 271 bps. CRE offers an inflation hedge. That strength derives from two sources. Rising inflation often signals a strengthening economy, which is good for real estate demand. In addition, the ability to raise rents over time allows returns to pace inflation. CRE returns are largely independent of either stock or bond market returns. At base, CRE returns are driven by two factors: (1) can you lease your property at an attractive rate and (2) can your tenants continue making their lease payments? Neither of those factors are primary drivers for stocks or government bonds and, conversely, the factors driving stocks and bonds (interest rates, EPS growth, investor lunacy) are not keys in real estate. Here are two snapshots of that independence. First, the correlation since inception between Ladder Select Bond Fund and the Vanguard index funds representing other major asset classes. The second is the correlation between Ladder Select Bond Fund and the other real estate and core bond funds with the highest two-year Sharpe ratios, which is the longest comparison period available since the Fund had a 25 month record as of 12/31/18. Summary version: virtual no correlation to the core bond funds (0.14), a negative correlation to the total bond universe and a low correlation to equities and other real estate income funds (0.45). Academic researchers looking at the role of commercial real estate in a multi-asset portfolio have found that over five-year periods there’s always a gain from an allocation to real estate, more commonly in the form of volatility reduction than higher total returns, with some evidence that most portfolios would benefit from a 10-20% weighting in real estate. The asset class, then, is interesting. Ladder Capital, likewise. Ladder Capital Corp is a REIT with about $6 billion in total assets. It launched in 2008 and became an NYSE-listed stock (LADR) in 2014. It’s one of the largest non-bank commercial mortgage originators in the country and has made over $35 billion in CRE investments to date including about $10 billion in CMBS. Ladder Capital Asset Management serves as the Fund’s adviser. Here’s how to read that. Since inception, the Fund has returned 2.1% a year while its average peer has risen 1.6%. Ladder’s investors have experienced surprisingly low volatility in the same stretch. The Fund’s maximum drawdown, standard deviation, downside deviation (which measures just “bad” volatility), Ulcer Index (which factors in both the length and severity of drawdowns) and bear month deviation (which looks at volatility during months when the stock market is falling) are much lower than you’d expect. All three standard measures of risk-adjusted returns (the Sharpe, Sortino and Martin Ratios) are vastly more positive for LSBIX than for its peers. Tom: Ladder Capital Corp is a publicly-traded company with high insider ownership, around 12% or $250 million or so of our own money which means we have very strong alignment of interests with our investors. Because we lend and invest strictly in the CRE market, we understand CMBS bonds and the properties that secure them rather well since commercial real estate is our sole focus..
What you most need to know about the strategy is that we’re inherently conservative investors. This is not a “get rich” strategy; it’s intended to be more of a “stay rich” strategy. We tend to invest in very senior notes, highly liquid, diversified and with hard asset support. We have about $6 billion in assets at Ladder and our funding has historically come from high net worth individuals, pension funds, registered investment advisors, and sovereign wealth funds. We decided to add a mutual fund as another way of accessing our expertise, without leverage and with daily liquidity which makes it more broadly available to investors. We think we can produce, and we think we have the record to prove, relatively safe, decent yields across market cycles. Craig: One challenge in talking about the Fund is that there are no directly comparable peer groups to work with. Folks like DoubleLine have significant CRE investments, but they tend to be inside another wrapper that invests in other things. As discussed, the Fund invests primarily in CRE debt and CMBS. While macro-economic events may drive the asset class, given our highly focused approach, we understand the asset class and its drivers, and we’re willing to give up current income to protect principal knowing that we’ll get more opportunities soon enough. So as conditions change, the composition of the portfolio and its hedges can change dynamically to best position the fund to achieve its dual mandate of generating income and preserving capital. Probably the single greatest risk over time is duration. We can hedge interest rate risks over time with futures and we’ve built in a lot of floating rate securities. Tom: Typical fixed income portfolios are dominated by unsecured corporate bonds and treasuries. We believe having a reasonable allocation to senior secured assets principally supported by first mortgages on a diverse pool of hard assets is a good thing. The complementary nature of this strategy has been recognized by insurance companies and pension funds for a long time. We created LSBIX for investors who want to make this highly-targeted allocation for themselves with an experienced manager in this specialized field providing daily liquidity. That’s the way we’ve invested for our clients and for ourselves. Ladder Select Bond (LSBIX) generally has a $100,000 minimum initial investment but Ladder can waive that minimum. It is available through TD Ameritrade, Pershing FundVest and Charles Schwab. At the latter, the published minimum initial investment is $2,500. The Fund charges 0.95%. The Fund’s homepage is reasonably rich with direct and linked information. 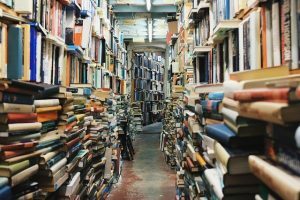 Probably the most useful piece is the Executive Summary, which offers a readable walk-through the fund’s approach and management. Their News page also offers a Commercial Real Estate Debt Primer, but it’s rather cluttered with slightly-outdated charts that only a finance guy would love. I’d start with the other. Just a handful of new funds were registered with the SEC this month, perhaps in response to the disruption caused by the government shutdown which affected the SEC. In any case, we’ve chosen to highlight just two funds from that list; both are guided by first-rate managers whose long careers and other funds should engender considerable interest and respect. GQG Partners Global Quality Equity Fund will seek long-term capital appreciation. The plan is to build a non-diversified, global growth stock portfolio. They hope to create a portfolio which will “capture market upside while limiting downside risk through a full market cycle.” In general, they favor the stock of firms which are reasonably priced, and have strong fundamental business characteristics, sustainable and durable earnings growth and the ability to outperform peers over a full market cycle and sustain the value of their securities in a market downturn. That all is reflected in the advisor’s name: GQG stands for “global quality growth.” The fund will be managed by Rajiv Jain. Mr. Jain’s reputation is such that the firm’s emerging market fund quickly drew $1 billion in assets, though its better-performing US fund has just $11 million after its first four months. Curious. He is, in any case, an exceptional investor once responsible for $50 billion in global growth stocks. The expense ratio for Investor shares is 1.00% after waivers and the minimum initial investment is $2500. Institutional shares will charge 0.75% and require $500,000 to enter. Zeo Sustainable Credit Fund will seek “risk-adjusted total returns consisting of income and moderate capital appreciation.” In truth, I’m not quite sure what goal statements like that actually mean. They intend to own a portfolio consisting primarily of carefully selected fixed-income securities issued by companies who are leaders amongst their peers in key areas of sustainable business practices. They’ll manage interest risk rate by managing the portfolio’s duration. The “credit” of “sustainable credit” points to high-yield securities whose risk lies primarily in the creditworthiness of the issuer rather than in changing interest rates. The fund will be managed by Venkatesh Reddy, founder of Zeo Capital Advisors and manager of Zeo Short Duration Income (ZEOIX). ZEOIX is an exceptional fund that’s been badly miscategorized by Morningstar. It’s tagged as a “high yield bond” fund, which implies equity-like risks and returns. It seeks neither. Zeo is an exceptionally stable, single digits performer with a negative downside capture ratio (that is, it tends to rise even when the bond market falls) against the Barclays US Aggregrate Bond index. It is a Great Owl fund and the subject of a recent profile. The expense ratio for the new fund is 1.25% and the minimum initial investment is $5000. Welcome back to our readers employed by the Securities and Exchange Commission! The whole “shut the government down” thing struck me as unproductive lunacy and ended up with a number of our readers (most visibly the SEC folks) furloughed. Thanks, as ever, to The Shadow for his tireless review of thousands of SEC filings monthly. For all my care in reviewing that same database, I’m forever amazed by the amount that he finds (and shares) that slips past me. Baird Funds announced recent fee reductions for four of their funds. Chautauqua International Growth Fund (CCWIX/CCWSX) will change from 0.95% to 0.80% for the institutional share class and from 1.20% to 1.05% for the investor share class. Chautauqua Global Growth Fund (CCGIX/CCGSX) will go from 0.95% to 0.80% for the institutional share class and from 1.20% to 1.05% for the investor share class. Baird Small/Mid Cap Value Fund (BMVIX/BMVSX) drops from 0.95% to 0.85% for the institutional share class and from 1.20% to 1.10% for the investor share class. And, more modestly, Baird SmallCap Value Fund (BSVIX/BSVSX) will change from 1.00% to 0.95% for the institutional share class and from 1.25% to 1.20% for the investor share class. Grandeur Peak Global Opportunities Fund, Grandeur Peak International Opportunities Fund, and Grandeur Peak Global Reach Fund will re-open to existing shareholders and to new shareholders who purchase directly from Grandeur Peak Funds. Check out our separate story on the openings. Invesco Developing Markets Fund (GTDDX) to reopen to new investors at the end of February. (Why wait?) Morningstar laments its “recent dismal performance” (2018 didn’t go well) while remaining hopeful and affirming its Bronze rating. Longleaf Partners Fund (LLPFX) is open to new investors. Effective January 28, 2019, Clarkston Select Fund (CIDDX) closed to investment by new and existing shareholders ahead of a merge with Clarkston Fund (CILGX ). At the end of February, Ashmore Emerging Markets Corporate Debt Fund will be renamed Ashmore Emerging Markets Corporate Income Fund. Cedar Ridge Unconstrained Credit Fund (CRUPX) has become a Shelton Capital Fund, though I know not which quite yet. On January 16, 2019, Timpani Capital Management entered into a purchase agreement with Calamos Advisors under which Calamos will acquire Timpani, As a result Frontier Timpani Small Cap Growth Fund (FTSCX) will get a new moniker soon. On January 18, 2019, the Tocqueville International Value Fund (TIVFX) became the American Beacon Tocqueville International Value Fund. Aberdeen Asia Bond Fund (AEEAX) will be liquidated on or about February 21, 2019. Brown Advisory-WMC Japan Alpha Opportunities Fund (BIAJX) will be liquidated on February 22, 2019. Effective immediately, Cincinnati Asset Management Funds Broad Market Strategic Income Fund (CAMBX) has terminated the public offering of its shares and will discontinue its operations effective February 25, 2019. Cornerstone Advisors Public Alternatives Fund, Cornerstone Advisors Real Assets Fund and Cornerstone Advisors Income Opportunities Fund all joined the heavenly choir on January 31, 2019. On January 28, 2019, the Board of Directors of TD Asset Management approved the liquidation of each of the Epoch U.S. Small-Mid Cap Equity Fund and TD Global Low Volatility Equity Fund, both in mid-March, 2019. 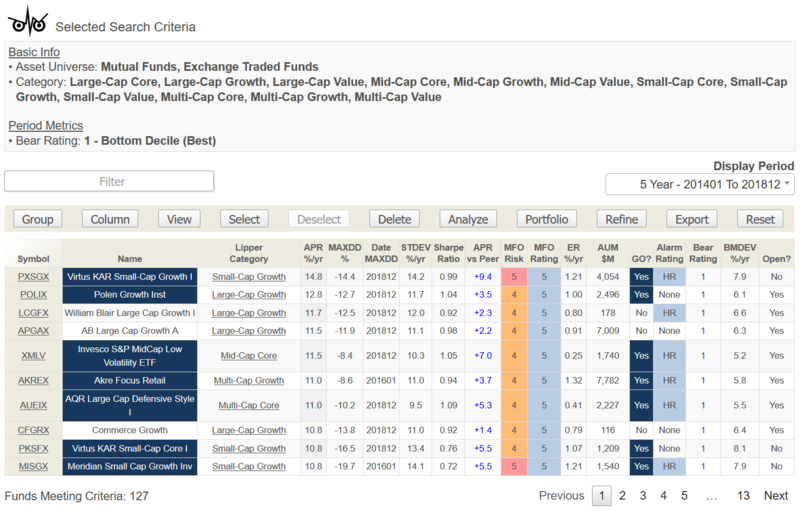 Hatteras Alpha Hedged Strategies Fund is slated to merge with and into STAAR Disciplined Strategies Fund (SITAX, formerly STAAR Alternative Categories Fund) on or about March 25, 2019. 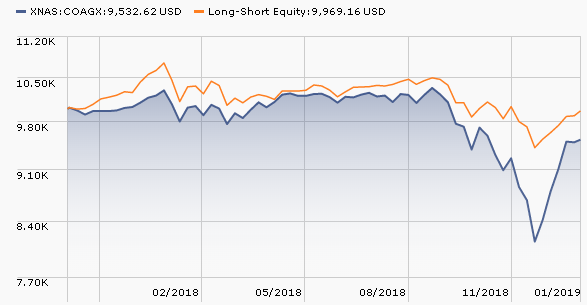 Highmore Managed Volatility Fund (HMVZX) was liquidated on January 31, 2019. Hodges Pure Contrarian Fund (HDPCX) will reach its contrarian conclusion on February 28, 2019. James Purpose Based Investment ETF (JPBI) will liquidate on February 7, 2019. Lost its sense of purpose, perhaps? Leland Currency Strategy Fund (GHCAX) will liquidate on February 25, 2019. Morningstar’s John Rekenthaler recently nominated multi-currency funds as one of the five worst “liquid alts” options, mostly because their returns have not been much better than cash. Neuberger Berman Long Short Credit Fund (NLNAX) “will cease its investment operations, liquidate its assets and make a liquidating distribution, if applicable, to be on or about February 27, 2019 .” Very thorough of them. Neuberger Berman Core Plus Fund (NCPAX) will be dispatched similarly on February 27. On or about February 22, 2019, Perritt Low Priced Stock Fund (PLOWX) will be reorganized into the Perritt MicroCap Opportunities Fund (PRCGX). It find it curious that the board of directors was “pleased to announce” the demise of a tiny, underperforming fund except in an “out of its misery” way. ProSports Sponsors ETF(FANZ) liquidated on January 17, 2019. In general, I think all of these freakish little niche funds – the investing equivalent of the cheaply made, here-for-a-season “fast fashion” clothes – improve the world with their passing. Fortunately, the market arranges that with some frequency. Putnam Europe Equity Fund (PEUGX) will merge into Putnam Europe Equity Fund on or about May 20, 2019. Satuit Capital U.S. Emerging Companies Fund (SATMX), once a tiny titan in the microcap space, liquidated on January 21, 2019. Effective January 1, 2019, the Thomson Horstmann & Bryant MicroCap Fund (THBVX) changed to the THB Asset Management MicroCap Fund. On December 21, 2018, the board of trustees for Vanguard Convertible Securities Fund (VCVSX) approved a proposal to dissolve and liquidate the Fund on or about March 19, 2019. It was a Bronze-rated fund with Oaktree at the helm and a billion in assets. Clearly too little for Vanguard to tolerate. Volshares Large Cap ETF (VSL) liquidated immediately after the close of business on January 30, 2019. No Happy Hour for them, eh?